The charging hub is newly available at BiteMyApple.co for $79.99. Sure, this is an Apple-centric company (one that focuses on getting Kickstarter products to market), but a USB port is a USB port, and this baby's got eight of them. Each of which is capable of charging up to 2.1A. For the record, this thing isn't new per se. It began as a Kickstarter project that acquired five times its funding goal earlier this year. Units went out to backers, and that was that. Now the product is available for direct purchase from those of us who didn't get it on the action the first time around. For the Android purists who scoff at the idea of buying from a site that caters to Apple products, the Octofire is also up on Amazon, though the privilege of buying through it will currently cost an extra twenty bucks. 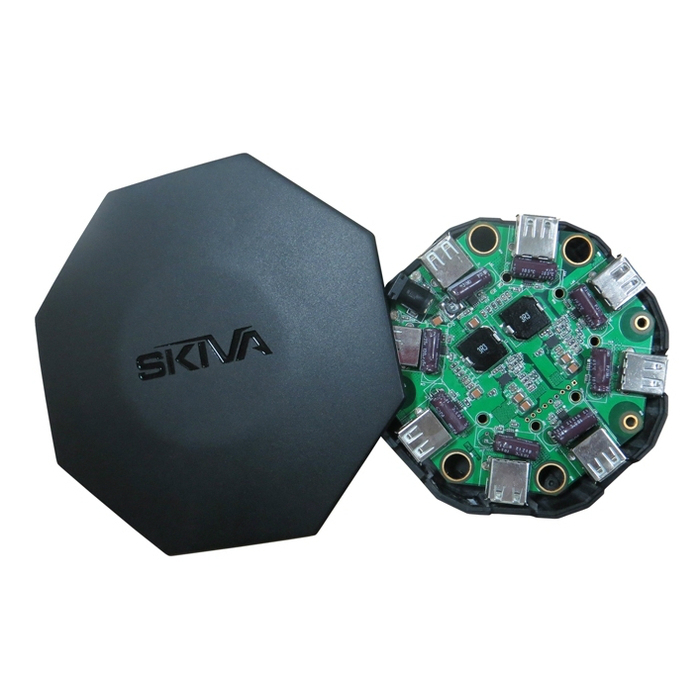 NEW YORK – July 23, 2014 – BiteMyApple.co announces the availability of the Skiva PowerFlow Octofire USB Charger, the first-ever USB charger equipped with eight ports allowing you to charge multiple devices at the same time. It’s a universal power solution for those dealing with device overload. Power Capacity: charges up 8 USB devices at the same time each at up to 2.1A/5V power. Smart Device Detection: intelligently detects the device, and provides the required charging. This is how the Octofire can deliver enough power to multiple devices at optimal current simultaneously. Safety: the AC/DC adapter is UL, CE, FCC, and RoHS Certified so it protects against overcharging, overheating, and over-voltage. Design: elegantly designed to fit into any décor on or under your desk. The sleek octagonal shape is developed from top-quality polycarbonate ABS material for efficiency and durability. Compatibility: capable of charging any device with a USB port including smartphones, tablets, GPS and more. The power solution can also be used in any country with its 100-240VAC 47-63Hz power input. 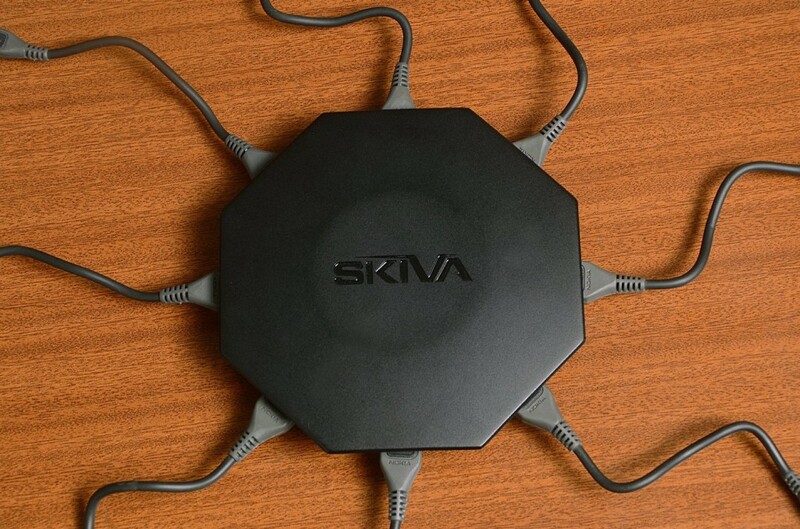 The Skiva PowerFlow Octofire USB Charger is available for $79.99 at bitemyapple.co.